The mould seen from different angles. 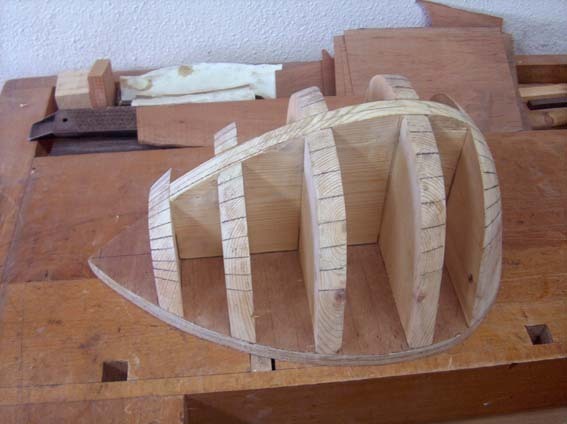 The mould ribs, the keel and the base profiles can be traced with the cursor on the two photographs. The tracings on the ribs mark the position of the staves. 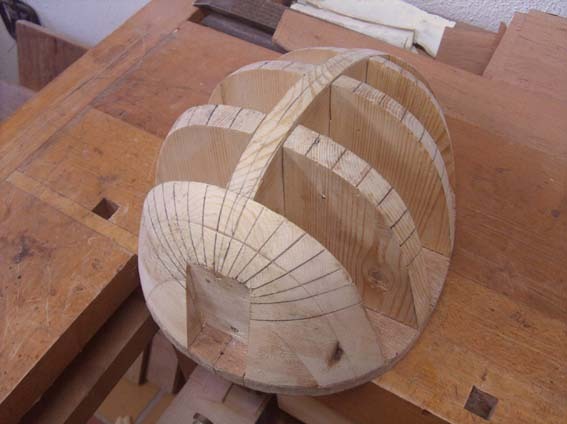 The shell has been completed, (the tracings were made during its construction), hence the blocks are missing.